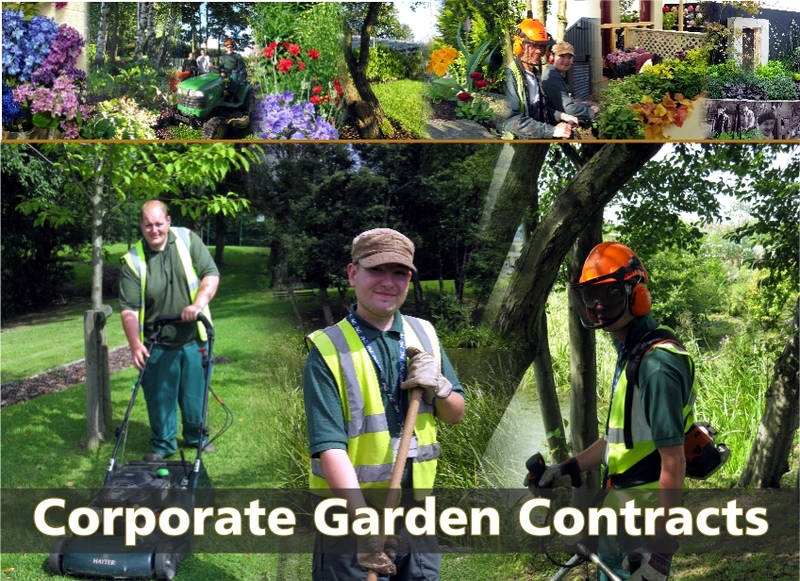 We are proud to offer quality corporate landscaping and garden maintenance services to businesses, schools and local authorities. We receive many compliments on the professionalism of our contracts team and the quality of plants supplied by our horticulture department. Landscaping, mowing, weeding, hoeing, pruning, tidying, shaping, planting and watering are all undertaken. Community integration offers excellent opportunities with benefits for all concerned. Complete an enquiry form using ‘contact us’. Alternatively call 01695 555316 and talk to our Contracts Supervisor or Operations Manager. ‘A bloomin’ good year! The highlight of our year was winning gold at ‘North West in Bloom’. The floral displays in the town look spectacular … amazing hanging baskets and hayracks …. Midstream have grown around 10,000 plants for us this year.